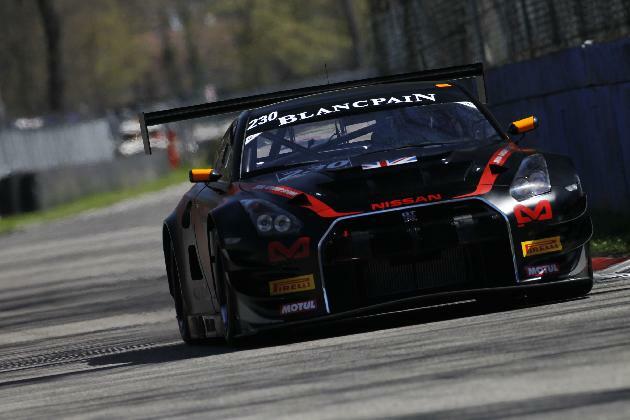 The first round of the Blacpain Endurance series is over with the Nissan GT3 GT-R's from JRM Racing finishing in 12th position in the PRO class, and in 10th spot in the PRO-AM class. The second round of the series is at Silverstone Circuit in the UK in June. 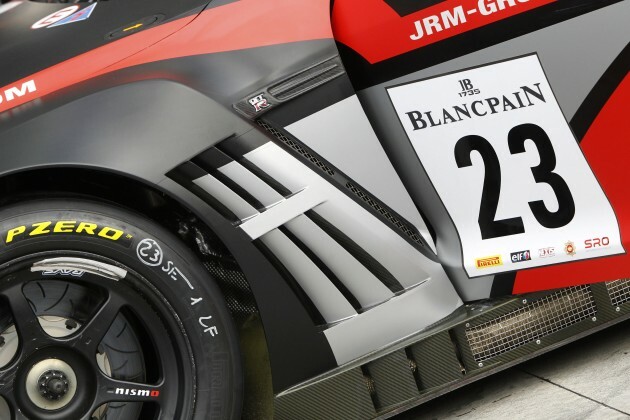 14 April 2013 – JRM Racing finished its Blancpain Endurance Series debut race in 12th position in the PRO class and 10th in the PRO-AM class today at the Autodromo Nazionale di Monza in Italy. The trio of Peter Dumbreck, Lucas Luhr and Steven Kane in the Nissan GT-R Nismo GT3 #23 and the #230 of Matt Bell, Charles Bateman and Humaid Al Masaood were reliable throughout the entire weekend. Another bright and sunny day welcomed the team to the track. The Qualifying session took place in the morning, with all three drivers of both cars #23 and #230 going out to set a time. Peter Dumbreck in the #23 set a fastest time of 1:49.484 to put the car 14th in class on the grid for the race. Matt Bell's fastest lap (1:49.697) meant the #230 Nissan GT-R Nismo GT3 started the race 16th in PRO-AM class. Peter and Humaid both got off to a good start and completed the first lap safely, staying out of trouble. Both the #23 and #230 Nissan GT-R Nismo GT3 cars soon started to climb up the field and gain places. At the end of his stint Peter had gained a total of 28 laps and was running at a very good pace. After an hour, both Nissan GT-R Nismo GT3's pitted, with Peter handing the #23 over to Lucas and Charles getting into the #230 after Humaid had completed the first 32 laps of the race. Exactly halfway through the race the Safety Car was deployed and on that same lap Lucas had to pit due to a puncture. Unfortunately Lucas lost the positions he had gained, but as soon as he rejoined the race he got up to speed and started recovering positions. Meanwhile, the #230 with Charles at the wheel of the car was running at a constant pace in mid-field. Steven and Matt were at the wheel of the Nissan GT-R Nismo GT3 for the final hour of the race. They drove consistently to the end and brought both the #23 and #230 cars home safely, demonstrating great reliability. The second round of the Blancpain Endurance Series championship will take place at the beginning of June in Silverstone.